On April 6 2016 (Referendum in the Netherlands) I started a series of drawings called “The Political Scene of Written Anatomy” inspired by the thought experiment “Chinese Room”, of the American Philosopher Searle. I will perform in Sofia Underground Performance Art Festival “INNER CONFLICTS”. 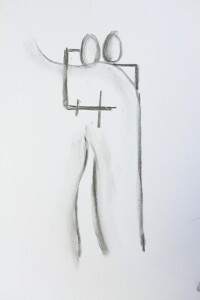 Titel of the performance is: “Pulse | Bending Senses, Beyond the Self”. Performance: “Pulse | Bending Senses, Beyond the Self”, in the National Palace of Culture in Sofia, Bulgaria. Contradictions and double meanings emerge in every human’s life on a daily basis. Facing tough dilemmas and the necessity to make decisions, sometimes without consciously acknowledging their importance, our obligation is to make the right choices in order to continue our life on this planet. But people are still programmed to serve someone else’s means, so that they don’t even realize and automatically continue to make the wrong turn for decades, until it becomes a habit. This year Sofia Underground Performance Art Festival is realized in the period 19 – 24 April 2016 in Sofia, Bulgaria. Main location is the energy room – a subterranean, hall, belonging to the NDK preimses ( the National Palace of Culture), in the center of Sofia. The Winter School of Discontent welcomes you to its open house this coming Saturday evening 23 January 2016. Join us from 19:00 onwards at West Den Haag to explore and expand what we have derived and devised from the minds and materials put together since we gathered. Let us present our journey from Nothing—through Agitation, Abandonment, Exposure, and Encounter—towards this moment of Contingency with you. Orly Almi, Frank Chouraqui, Michael Driebeek van den Ven, Galit Eilat, Cissie Fu, Chris Goto-Jones, Riti Hermán Mostert, Eric Kluitenberg, Marianna Maruyama, & Eloise Sweetman. 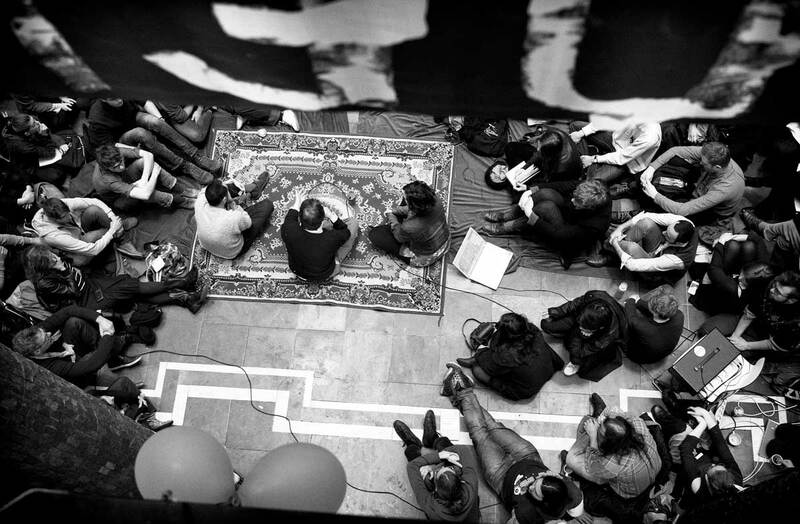 Beyond presentations of projects in the making, our open house includes a lecture by Chris Goto-Jones entitled “Playing Revolution: Performance, Contemplation, and (Self-)Transformation” at 19:30, followed by interactions between the winter school and the visitors. Drinks and snacks will be served, so please indicate whether we should count in your stomach as well as your open mind. We look forward to welcoming you to our burgeoning community! 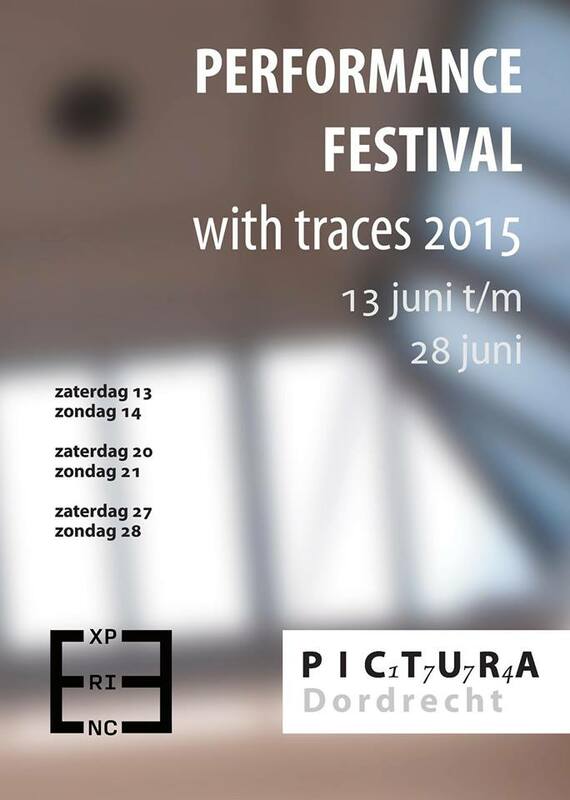 On June 27, I invite you to come to the Performance Festival with traces 2015 at Pictura in Dordrecht (Netherlands). Where I will give a performance from 20 pm. 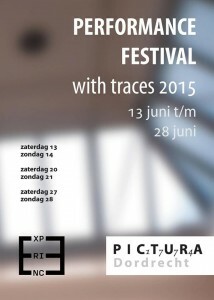 Performance Festival with traces 2015 is a cooperation with Experience. In May 2014 I participated with Creature Live Art in Kaunas, Lithuania. In this performance, I am looking for a second skin as a screen to the outside world. During the festival, I was teaching at PAS | Performance Art Study. Kunstuur was bij de expositie Sounds of Silence in CODA Museum waar o.a. de foto’s ‘Ons Body’ en de Film ‘Resume’ (2014) te zien zijn, van Ronald Bal. 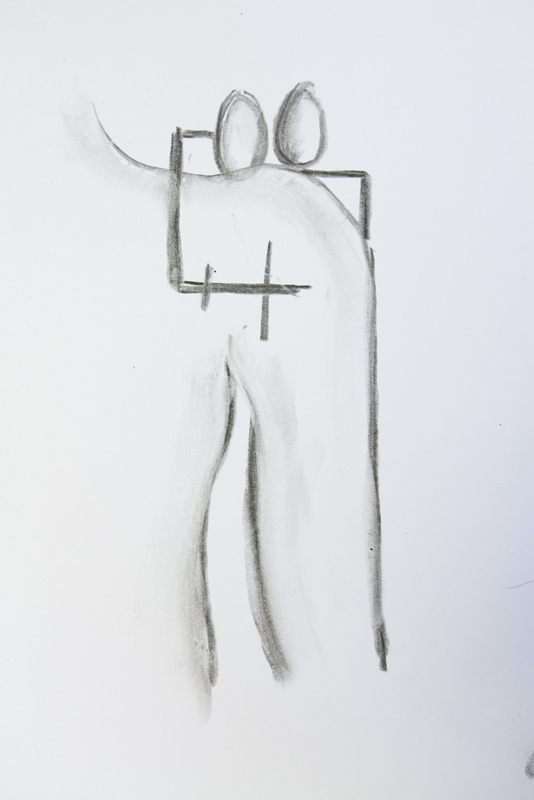 Kunstuur laat de foto ‘One Body’ 3 zien in haar uitzending van 23-11-2014. Wim van der Beek maakte in opdracht van CODA directeur Carin Reinders een gevarieerde expositie met werk van 15 kunstenaars uit binnen- en buitenland.